Taroko, Kenting and Yangmingshan are three vastly different national parks in Taiwan, and this incredible range is indicative of the island’s remarkable diversity. Each park has its own distinct topography, activities and character, and in the case of Kenting, my concept of a national park was stretched and expanded after about five seconds of scootering around. Kenting National Park occupies the southernmost tip of Taiwan. It’s a huge expanse of rugged cliffs, dramatic ocean waves and dense forest—but in the centre of it all is a lively beach town that likes to party into the wee hours. 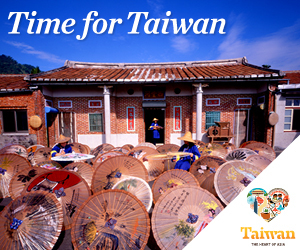 The main strip in Hengchun Township has a real all-inclusive-resort feel to it with huge hotels, tour buses, surf shops, and a mix of Chinese street food and American-style bars serving nachos and beer. You can spend the day birdwatching in a quiet forest reserve, and then hit the jukebox at Smokey Joe’s and dance your face off to Shania Twain. I was amazed that all of this is considered a national park. It was a fun place to spend a night, but if you’re headed there for the “park” aspect of “national park,” your best bet is to hop on a scooter—which I found to be a surprising rush of freedom—get out of Hengchun Township and start zooming down the gorgeous coastal roads. From there, you’ll easily happen upon tons of swimming beaches, cliffs and crags for climbing, and wildlife sanctuaries to explore. 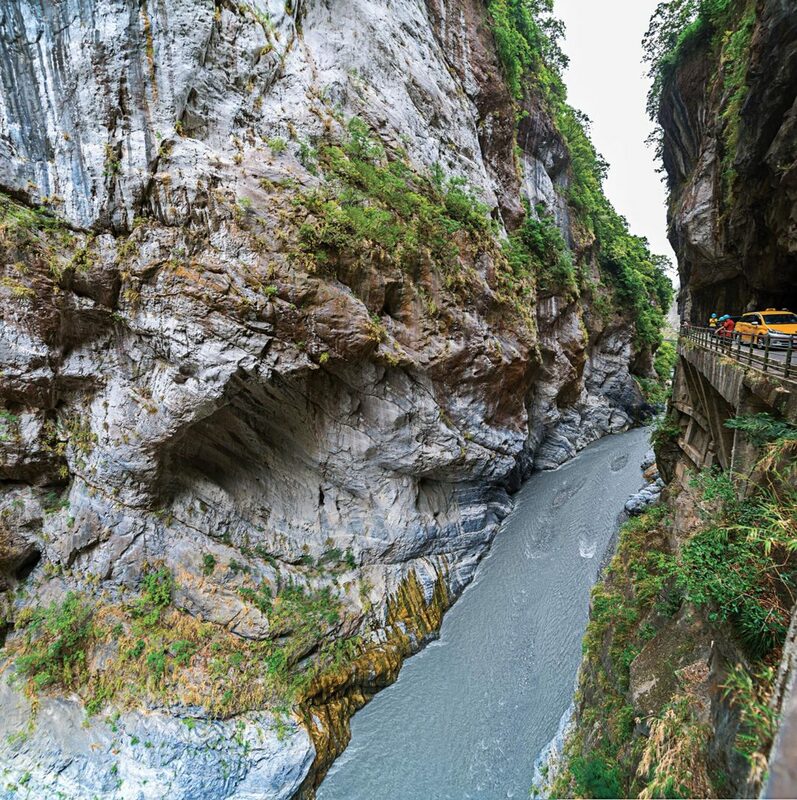 The Liwu River runs deep through Taroko Gorge between stunning marble and granite walls. Way up at the other end of Taiwan, on the northernmost point of the island, is Yangmingshan National Park, an eerie and mystical region formed and sculpted by the heavy volcanic activity of the Datun Mountains. We climbed up to the summit just as the day was winding down, and couldn’t see farther than six feet in front of us because of the thick sulphuric haze shrouding the entire area. Standing on the top of a hill surrounded by smoking fumaroles, bubbling hot springs, and mountain trails disappearing quietly into nothingness has a real otherworldly quality to it, almost like you’ve set foot on the Moon. Taroko National Park is one of the most popular attractions in Taiwan, a huge sprawl of enormous marble mountains and rushing rivers that wind their way through the world-famous Taroko Gorge. The park is 1,200 square kilometres and is packed with hiking and biking trails of varying difficulty. Some of these paths are truly awe-inspiring and a tiny bit crazy—such as the suspension bridge across the entirety of the gorge, or the Old Trail which is carved into the edge of the cliff face and is barely two feet wide. However, even just standing in the gorge is a humbling and mesmerizing experience. The rock faces are dramatic and formidable, and the view into the canyon is tremendous, with dense forest stretching out forever. Though there’s plenty of high-octane activity available at Taroko, it also presents you with nature so powerful, it commands you to just stand still.